For centuries, scientists believed humans were only able to evolve due to their ability to label things. Where would cave-people have been if they weren’t able to label fire as hot and dangerous? For that matter, where would we be if we be had we not been able to finally label ‘that’ crazy ex as hot and dangerous? (Note – if you are thinking, ‘I haven’t labeled an ex that way’, you might be that crazy ex – just saying….) Whether it’s flames or that dating mistake, labeling is a great way to better understand the world around us. 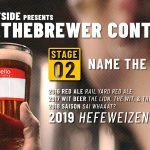 Brightside and Alberta Beer Festivals are proud to announce the winner of Label Design portion of this year’s Brightside #BeTheBrewer Contest – Raul Alejandro Gonzalez Sanches! Together with other contest winners, media and industry – Raul was part of the team that got to brew this year’s beer ‘CTRL-ALT-D’WHEAT’ Hefeweizen with the Olds College Brewmaster Program team. The Brightside #BeTheBrewer Brew Day consisted of 3 parts: At the ‘Birth of A Brewery’ session, attendees got to hear from Colin McLean of Banded Peak Brewing and Chris Howlan of Inner City Brewing about what the pitfalls and horrays are for that journey. In the ‘Birth of A Beer’ session, Bud Kelly from Troubled Monk and Trent Tarabula and Eli Horne from Inner City Brewing mapped out the process for how a beer goes from an idea to a pint – including how it is named, marketed and sold. The third session for the day was the most hands on because that is where people got to brew this year’s Brightside #BeTheBrewer beer! Head brewmaster instructor JP took everyone through the ins and outs of the brewing process then put them to work making this year’s beer. 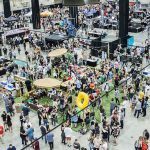 And new this year, you’ll be able to immerse yourself in the Brightside #BeTheBrewer Lounge at the Calgary International Beerfest on May 3rd & 4th and at the Edmonton Craft Beer Festival May 31 & June 1st. 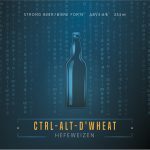 Be the first to try the ‘Ctrl-Alt-D’Wheat’ Hefeweizen and then maybe next year, you can join us to #BeTheBrewer too! 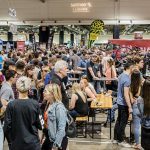 Alberta Beer Festival’s mission is to provide the ultimate beer & spirit experience. 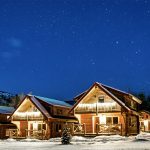 Each of our 6 events provides a forum for breweries and distilleries to share their stories, passions and products with the beer and spirit enthusiasts of Western Canada. ABF strives to have a positive impact in the beer/spirit industry, with local charities, and within our community. Be Different. Drink Different.